Amazon: Love it … or hate it … but, you gotta deal with it. “Why are my reviews being removed?” is an ongoing question that authors ask. There isn’t a live program that I do that it doesn’t surface. Scratching our heads, few of us can figure out what makes the Amazon robots push the yank button, while others stay. Authors need reviews on their books. Lots of them. Once, there are 25, the robots warm up. More than 50, expect to see cross promotion: book covers pop up on “like” books … “Customers who bought this item also bought …” meaning that your book cover gets displayed on other author pages. As your reviews build up (think more than 75), Amazon does email blast, suggesting your book cover with the live link to viewers of the site that have shown an “interest” in your category with their searches. How cool is that? So yes, reviews do count. Big time. To post a review, a reviewer does not have to buy the book through Amazon. One of the myths is that a review can’t be posted on Amazon unless it was purchased from it. Get over it. If the reviewer did purchase the book on Amazon, it will be identified as a “verified” purchaser. Meaning, that it will be placed higher on the visibility placement of reviews. To contribute to Customer features (for example, Customer Reviews, Customer Answers, Idea Lists) or to follow other contributors, you must have spent at least $50 on Amazon.com using a valid credit or debit card in the past 12 months. Promotional discounts don’t qualify towards the $50 minimum. My two bits: I read reviews online for a variety of products that I’m considering—I read the pros and cons and have posted multiple comments on products that I’ve purchased, including some bad ones. For me, I value others’ experiences. There is a difference between an EDITORIAL REVIEW and a CUSTOMER REVIEW. an editorial review is a more formal evaluation of a book usually written by an editor or expert within a genre but can also be written by family and friends. 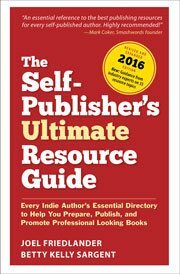 Editorial reviews can be added by the author via Author Central or the Amazon.com/Advantage page. They won’t have the 1-5-star post. And, Amazon does permit payment for editorial reviews. Regular readers post a Customer Review and they ones that get the Amazon robot’s attention. A rating of 1 to 5 is added, with five being the highest. There is still a lingering belief that if someone has a “free” copy of your book, he will be excluded from posting a review. Nonsense. If you are upfront that you want an honest review—pro or con, it’s open. Get your book out there—it can be an advanced reader copy (ARC) or books you have in stock. You can send them an eBook if that’s your preference (Smashwords.com has an easy window to use) or just books you have in your personal inventory. I received an advanced copy for an objective review. My review is based on a complimentary copy. The publisher sent me a review copy … I’m glad it did. Reviewers can remove or edit their review after it is posted. Amazon “says” that just because someone is a friend, or a social media connection, doesn’t necessarily result in a review being taken down. With that said, I suspect that if we lined up all the reviews that have been removed by Amazon, the mileage would be countless. Any reviewer can link to another product if it is relevant and available on Amazon. That means your own book or something else you offer. Amazon does love more sales! When you offer something for a review, you can’t demand a review (although I’m clueless how the robots know this). If you offer anything other than a free or discounted copy of the book, it will invalidate a review, and it will be removed. We don’t allow individuals who share a household with the author or close friends to write Customer Reviews for that author’s book. … not someone that retweets or reposts something you have posted. Sigh. It’s a dilemma for sure. Start with encouraging all to copy and post to Goodreads—yes, Amazon owns it, but they are different platforms. I love what Rox Burkey, co-author of the Enigma series did. Not only did she challenge Amazon for removing a review of a book she bought, she cited the First Amendment: how dare Amazon void her rights to express her opinion. The review was reposted. Don’t have anyone post if they live in your house. No exceptions. Check Amazon daily. It usually takes 12 to 24 hours to pull down a review. Check your Book Page daily and copy all of them to your computer. Thank them and say and mark that the review is “helpful”—if Amazon pulls it down—resend to the poster if you know and ask them to alter and repost. Give this email to the creator of the review who can challenge Amazon directly: community-help@amazon.com. If by chance you get a snarky review and you feel that it does violate the guidelines, mark “abuse” by the review. You can email Amazon as well at the community-help@amazon.com email. If you are stuck … or a tad overwhelmed, here are a few Amazon resources for help. Check out Amazon Community Guidelines. Amazon has multiple pages with this title. Start here. With the change to KDP, you will be looking for both print publishing and eBook publishing. Start with logging into KDP, and clicking on Help at the top of the page. Under “Promote Your Book,” click Customer Reviews. This is the space to watch for the ever-present changes. Lots of FAQs and answers are posted in this section as well. Most of us sell books on Amazon using one of their book-specific selling tools: KDP, Advantage, or a third-party such as IngramSpark. There’s also Amazon’s Seller Central’s Marketplace, which means you can sell books here plus other products. It has its own guidelines and policies. And if you have problems, use this email: community-help@amazon.com or try calling Amazon Customer Care: 866-216-1072. Remember, if you stay within Amazon’s guidelines, you should succeed. Yup, love it or hate … but do it. All … one of Amazon’s latest rules is that if a post comes from the same household address, it will nix a review. And, I’ve noticed that reviews are yanked when they come from the same IP address (that has to be a robot thing). – Sorry, but I’m with David on that. That’s just nonsense. If there is a system, it will be gamed. People post fake reviews all over the place, giving each other mutual 5-star reviews, which is so commonplace that they even have companies set up so that you pay them to give a certain number of reviews. You can even tell them what to say, and they’ll mix in the odd 4-star review so that it looks genuine. Mixed in with that, Amazon does not care about fake bad reviews. Set yourself up with Kindle Unlimited and lie your heart out about someone you don’t like, or just to hide your review trading. None of this matters really, as popular books are immune to it all. Amazon reviews are only relevant when that’s what you rely on. No need for a call, Judith – besides, it might be better to have the discussion in public so we can all learn something together. Surely you can link to something to back up your claim? I have written books on the topic and can tell you in completely unambiguous terms that the process you describe simply doesn’t exist. We know a lot about the various algorithms which power the recommendation engine at Amazon and there is simply no link between reviews and any kind of recommendation push from Amazon. What are you positing exactly? What do you mean by “the robots warm up”? What do you mean by “expect to see cross promotion”? What kind of cross promotion? As I said, I’ve written multiple books on how the Kindle Store works and the various algorithms that power the store and mapped out large parts of the entire recommendation engine through my own research and with the help of dozens of data hounds. I haven’t seen one teeny tiny bit of evidence to support this theory. I have seen lots of people asserting it is true, but not one of them has been able to point to any evidence when asked. If you can point to something, I’d genuinely love to see it. I searched for anything Amy Collins has written on the topic but turned up a blank. With that said… Amazon cracking down on “fake” reviews is a plus. Along with the Fiverr nonsense that was where a huge amount of the phonies came from. I get that family could be biased. I get that friends could be biased … but if that friend but the book via Amazon, then the robots should back off. But the extreme that has surfaced on axing a review because of social media connections is absurd in my book. Judith, great article – but I would agree with David on this. To the best of my knowledge, the newsletters are based on the individual consumer search history. If you have any other knowledge on this, let me know – because it would be terrific if Amazon was doing this now – but it’s not been my experience that this is happening. There is zero evidence for this. I mean none. I hear this meme repeated all the time and never see any evidence. What are you basing this claim on? Hi Judith. Anything you can link to or explain further? I’ve been studying the algorithms pretty closely for the last seven or eight years and have heard this theory numerous times but never have I seen one bit of evidence for it – either in my own research, or advanced by those espousing the theory. So if you have anything you can point to, I’d like to see it. Thank you for summing it all up, Judith! I had been wondering about the time-frame allowance after spending $50 on Amazon. I had about 5 reviews yanked last year, when housemates tried to post them from my same internet connection. Zon was all over it, boo-hoo. Then I got clever and purchased $50 of Amazon product from a friend’s computer (at Starbucks), so she could then post reviews of all 4 of my books. Zon zapped them! Now I’m behaving. Even the review process is rigged within Amazon. Amazon controls global information distribution, which is power. Amazon wants purile comments, and it wants fake and spam reviews to justify that purile content getting to the top whilst intelligent material languishes at the bottom. Its a catch 22 in faour of AMazon. Amazon calls the shots. Amazon is alike a casino and we all know the house wins. Better off writing governemnt compliant crap than anything that provokes fealling, emotions or thought. The classic of the world would never have got off the ground in this New World Or Police State. Ken Casey would be in a metal instutution reading Harry Potter novels. I tried to post a review in exchange for a free book on Amazon, but was told I couldn’t because I hadn’t spent $50 on the site. I can’t recall if it was $50 in books or just in general. So I posted my review on Kobo and Goodreads. “Authors need reviews on their books. Lots of them. The “also boughts” you can verify this isn’t true just by clicking around a few books and checking out their “also boughts.” You will frequently see books there that have well fewer than 50 reviews. Sometimes no reviews at all. The also bought section is based purely on who has bought the book. In order to get on those lists, your book needs be be purchased by people who go on to buy the other book. It has nothing to do with reviews. I don’t know what robots warming up means, so I can’t contest that, but as an author who has had multiple books past that threshold without a noticeable jump in sales, I don’t think 25 reviews does anything. The 75 review this is also not true. Again, I have books over this threshold and have never been featured in an email blast. Maybe some of this information was once true and is now outdated as Amazon has changed their system? I see these claims made a lot, but they don’t seem to be backed by anything from Amazon or any verifiable evidence that I can find. Heidi: Guaranteed–Amazon always changes its system. What is good today, may not be next week. I have had three clients in the past year that Amazon has done a blast out … not once, but multiple times. It was a pleasant surprise and came out of the blue. When I got one, I snapped it and forwarded to the client to track if sales picked up. The bottom line: ALL authors need reviews. The more, the better. Thanks for a great post on a topical issue.